Tim Westwood played this on Radio One back in '94 (Source: I have the show on tape!) - This was before the days of mp3 so I wonder how many other DJ's have an original copy from '94? And was it on Tape, CD or Vinyl? 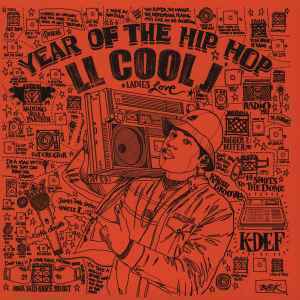 "Back in 1994 K-Def was working on some beats out of the B Room in Marley Marl’s House Of Hits when LL Cool J walked in on his session and said “let’s make some tracks together”. Uncle L had always wanted to rhyme on a track using the famous ESG breakbeat ‘UFO’, so he had Def lay it down with some scratches and then went to town with the mic. Both thought they had a sure fire hit on their hands but unfortunately it was never used. This recording was remasterd by K-Def himself from the original DAT tape so its the best quality they could offer. The Vocal and TV track were mastered differently when this was recorded back in the day so thats where the difference comes from.